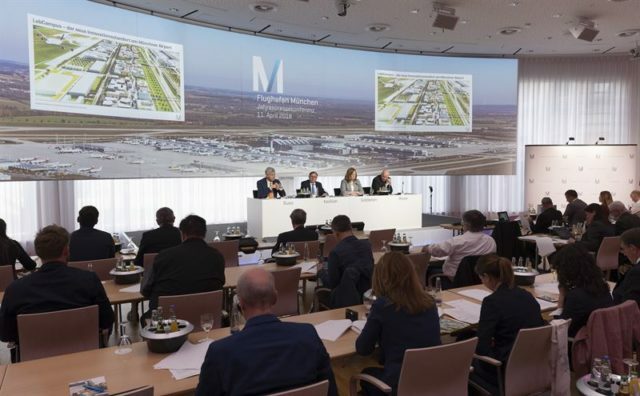 With consolidated earnings after taxes at around €155 million, Munich Airport achieved the best result in its history in 2017. The Group again achieved a year-on-year increase of €100 million in annual revenues to around €1.5 billion – thanks in large part to a substantial 5.5 percent rise in total passengers to 44.6 million. The airport’s strong economic performance also paid off for the neighboring communities, which will again take in business tax revenues of €35 million. A look at the current traffic trends in the recently launched summer timetable period confirms this assessment. With five Lufthansa Airbus A 380 aircraft now stationed in Munich, the Bavarian hub has become just the fourth European airport – after London, Paris and Frankfurt – to serve as a home base for the world’s largest passenger aircraft. Lufthansa will operate daily services to Los Angeles, Hong Kong and Beijing with the superjumbo. In addition, the German carrier has added four plans from the Airbus A320 to its Munich fleet for medium-haul flights. This has further improved the connectivity of the Munich hub. The Lufthansa subsidiary Eurowings is also helping to maintain the momentum of this trend: From the beginning of next week, Eurowings will be launching new long-haul services to and from Munich. The airline will offer scheduled services from Munich to 15 intercontinental destinations – including such holiday hotspots as Cancun, Fort Myers, Mauritius, Montego Bay and Las Vegas. As a result, travellers will have the option of flying with low-cost airlines on long-haul routes for the first time. Thanks to Eurowings, the share of low-cost carriers in total traffic in Munich is expected to increase to around 11 percent in 2018.